While it’s easy enough to take a screenshot or save a single photo, saving videos from the platform is a bit more difficult — but not impossible. 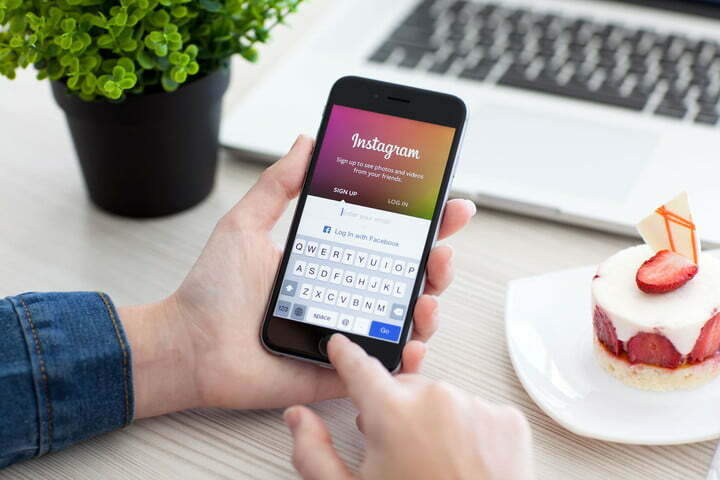 We’ve rounded up eight different ways to download and organize all of your favorite Instagram videos and shared how to save Instagram videos for resharing or archiving content. If you’re looking for more tips and tricks, check out our more comprehensive roundup. PostGraber is unique in the fact that it’s not limited to downloading only one item from a post. 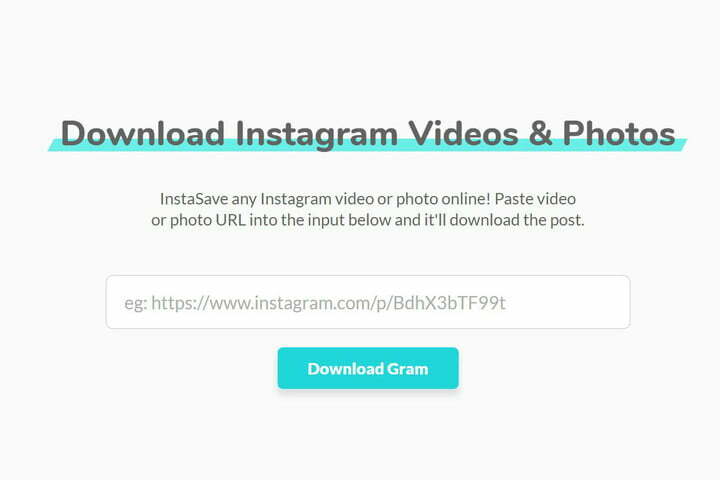 This is extremely useful if you intend to download multiple photos or videos from a single Instagram post — something that’s now possible thanks to Instagram’s slideshow feature. In terms of how it works, not much is different. 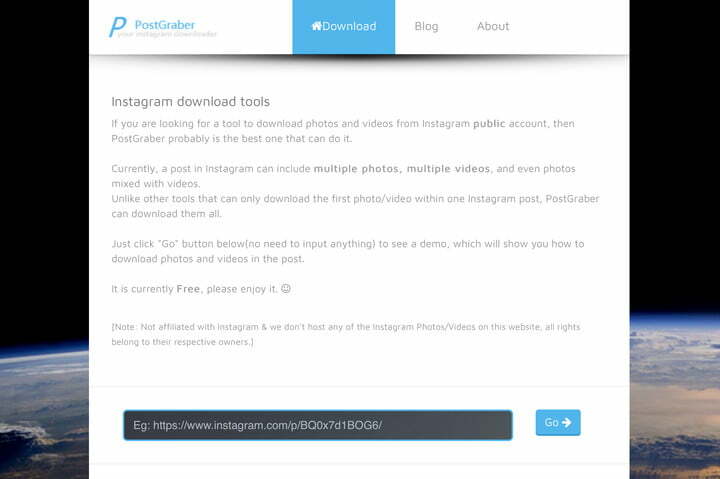 Simply copy the link of the public Instagram post into PostGraber, click the “Go” button, and the media will start downloading. In the event PostGraber goes down (or you simply don’t like the service), don’t fret. InstantSave by Gramblast is another option for downloading media in the browser. As you’ve probably come to expect, the process is fairly straightforward. Copy the link to the public Instagram post, click “Download,” and you’ll have an MP4 file downloading shortly. As with the other services mentioned, you can’t download media from private links, even if you’re following that account. IFTTT automates the entire archiving process. First, however, you’ll need to set up both Dropbox and IFTTT accounts. 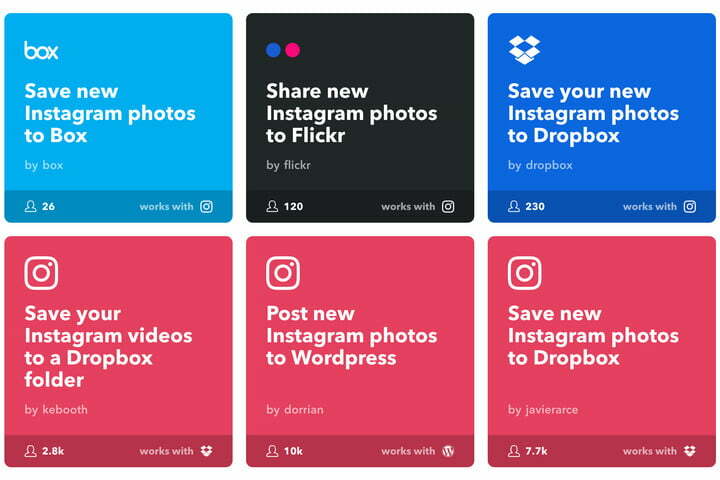 Once you’re signed up for both, select the Save your Instagram videos to a Dropbox folder option on the IFTTT website. After that, you’ll need to grant permission to IFTTT to access your Instagram and Dropbox accounts. We have also put together a guide to IFTTT if you are a beginner. You will have the ability to choose which videos are saved to the associated Dropbox account. You can create specific triggers to save videos you’ve specifically “liked,” too, or videos you’ve uploaded to Instagram. The videos will be backed up to Dropbox as MP4 files. 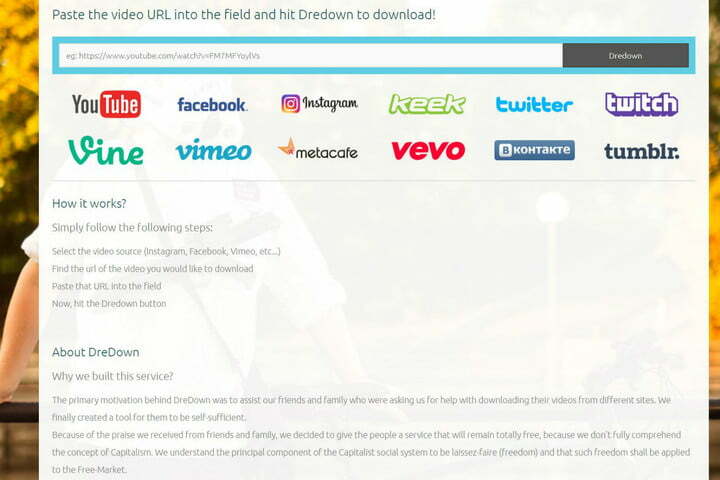 The DreDown website isn’t going to win any awards for aesthetic, nor will it allow you to download Instagram videos from private users (even if you’re “following” them), but, within just a few clicks, you’ll be able to save your videos. First, click the Instagram link on the left-hand side of the screen. Afterward, copy the URL for the video you want to save and paste it into the video link. Hit DreDown! to the right of the text field, and click the blue MP4 Video link on the following page before choosing a save location for your resulting MP4. That’s it! 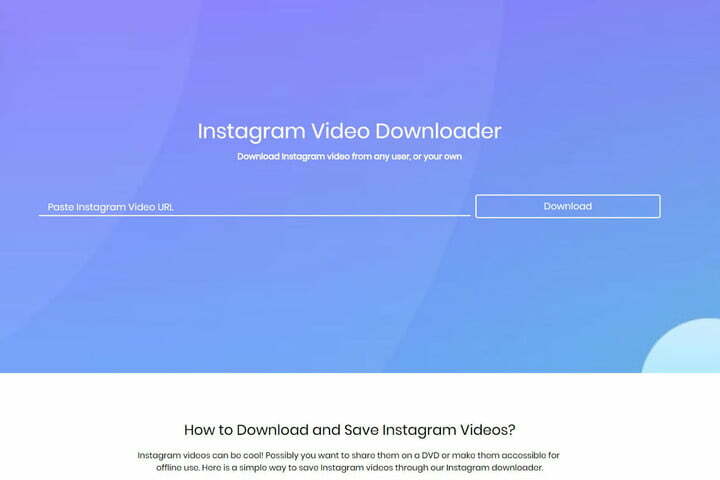 Savefromweb not only lets you download videos off Instagram, but also albums, photos, profile pictures, and stories. All you need is the URL from Instagram. Simply copy and paste the URL into the website and press download. You will then be directed to a screen that prompts you either to “download” or “return to home”. Once downloaded the file is automatically saved into your downloads folder on your computer. 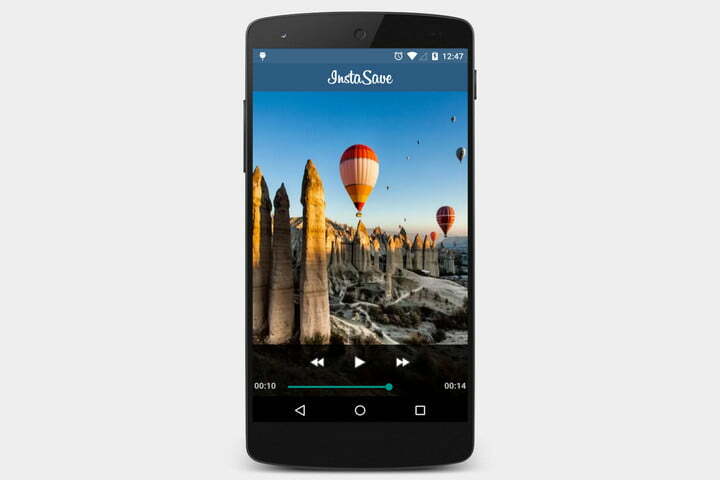 InstaSave is a great mobile option for Android users. When browsing Instagram, tap the three dots in the upper-right corner of the video you’d like to save. Then, select the Copy Share URL from the resulting menu and open InstaSave. The video will then be listed in your feed. Tap the down arrow below the latest video and select Save — all of your saved videos and photos will appear in this InstaSave feed. You can also easily delete videos that have since lost their luster directly from InstaSave. 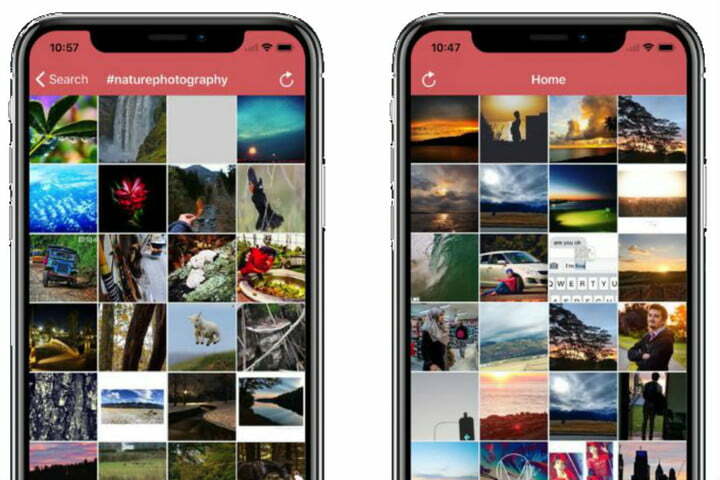 There are several apps in the App Store that are designed for saving Instagram videos and photos, but, sadly, many of these apps don’t come free of charge. InstaSave (unrelated to the Android version of the same name), however, is. It’s also very easy to use. Simply download the app, connect your account, and grant the app permission to access your Instagram account. 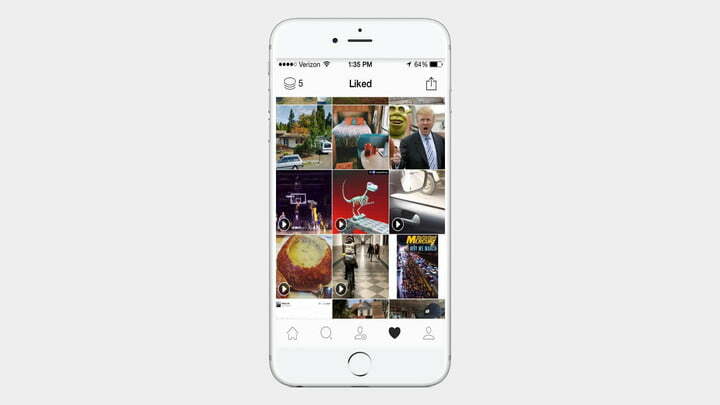 Once you’re signed into Instagram, anything you “like” — whether it be a photo or video — will be saved in a clean, chronological feed. Here, you can also see your likes in the classic grid format with which we’re all accustomed. If you’re in need of people to follow to fill up your feed, check out our curated list of the best Instagram accounts to follow. Another free app we found in iTunes is Quick Reposter. Alluding to the name, the app does more than just repost videos, it saves them as well. Simply download Reposter from the app store, you will then be prompted to login, but you don’t need to create an account to access the app. Click the tab on the bottom left that says ‘repost “copy link”’, it will ask you to open Instagram. Once opened, you can simply copy the link of the video you want to save, and it will automatically save it in Quick Reposter. When the video is finished downloading you will have the option of reposting or saving to your camera roll. There are ads that will pop up, but it’s not overbearing. Download takes seconds and its easy-to-use interface makes this app a go-to pick for iOS.